In Salesforce, REST API uses bearer token authentication to get into Salesforce and perform operation. 1. 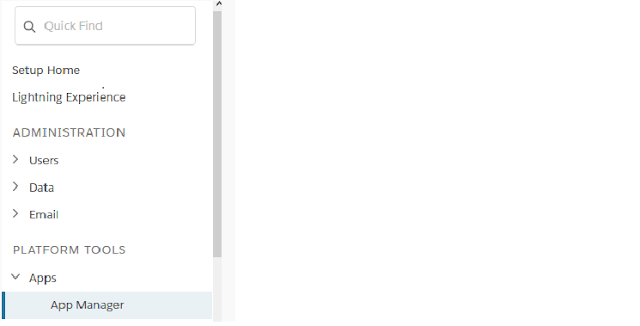 Request for Bearer token using connected app configuration and Salesforce credentials. 2. Salesforce response with bearer token. 3. Use that bearer token to get into Salesforce and perform operation. In this post I will let you know how you can get bearer token with the help of Connected app and credentials. 3. I configure my connected app as below screenshot,you can set up as your requirement. Once you click on Save you will get below screen. I have use Consumerkey and Consumer secret from above connected app configuration and salesforce username and password to connect with Salesforce in my java application. You can connected with Salesforce by using any other application as per your convenience. Below is Java code that I have created to get bearer token with Salesforce. When you run above code then you will get server URL and session id in response, then by using both you can communicate with server for further requests. Thank you for to come on my blog. Let me know using comments if you like my article and for suggestions. Salesforce recommended us to stop using anchor tag for redirection because of security concerns. That's why for redirection I used events trigger and but you need to take care because it will not work if we will use it without tabs, home page etc. So for make it work I have created one component Named NavigateEventComponentExample and used that component on tab. below is code snippet for component. 1. I used implements="force:appHostable" to make it available for tabs. 2. Go Button that will help us to trigger event firing. When we will click on above button then goToListView function in controller of NavigateEventComponentExample will call. 1. We have created object for event and by use of e.force:navigateToList we tell event to redirect us to list view when fire. 2. Set event parameters i.e. List view Id, Name and scope(In our case scope is Lead). Once event get fire then user will redirect to list view of given Id and object. Let me know if you found any issue in above code snippet and understanding. A successful marketing strategy is, by default, useless unless potential clients bite the bait you’ve used to lure them in. Those who have bitten the bait, but have not yet been reeled in are what you would call “leads.” Leads are the building blocks of what could possibly be an actual sales opportunity. But countless of times, certain leads fall short of being converted into “contacts,” those clients who you’ve successfully reeled in. Fortunately, Salesforce, the SaaS-focused CRM, has got you covered with the filtration of “leads” and “contacts.” The CRM does this through a special feature within its system known as the “Lead Object.” The Salesforce lead object allows for the proper espousing of best practices. By delineating leads from contacts, agents are guided on which clients they are to send certain marketing advancements (i.e. emails, SMS, or voicemails). The only probably exception would be those businesses with a small to no sales team (i.e. eCommerce companies). Often times, these types focus their marketing efforts into creating only a limited yet loyal clientele. Now, as a responsible and committed leader of your company, here are compelling reasons as to why you need to grab a hold of your pipeline. These are the things that will help you have the reins over your whole sales process, and not the other way around. 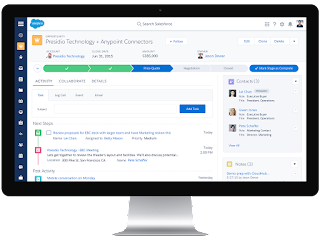 Salesforce objects allows both sales and marketing teams to aid their agents against confusing old contacts from newly converted ones. It gives eases the profiling of leads by providing you codes for each who have filled out your online forms. Organize your system by segregating leads and contacts into standard “types.” This makes it easier for you to scan through your pool of clients, or potential ones. Also, doing so will allow agents the luxury to not have to constantly create a new “type” for every campaign. Tracking your prospects and opportunities with lead object should be easy, make it so for you. Which Industries Benefit From Salesforce Lead Object? Retail is a very customer-centric industry, and Salesforce is right with you through every step of the way. From marketing to sales—and even until after-sales support service—the CRM assists you in providing both leads and contacts with unparalleled attention. Investing money, big or small, is probably one of the riskiest decisions one could ever make in life. Hard-earned cash is hard-earned cash, so people working within the financial services sector need to earn the complete trust of their clients. Salesforce allows you to understand your clientele on a personal level by systematically grouping their data. When it comes to its sales and marketing efforts, the Telecommunications industry is heavily reliant on CRMs like Salesforce in streamlining these aspects of their business. Profiling clients through a CRM makes the process a whole lot simpler as you have all the vital details within arm’s reach. Even physicians who forge strong bonds with their patients require the aid of Salesforce. Their service needs to be available anytime and anywhere; and a CRM allows that by providing their patients with necessary information and solutions through any device.